In spite of its notorious resistance to translation, saudade has taken up (nostalgic, melancholic, sorrowful) residence in non-lusophone literatures. 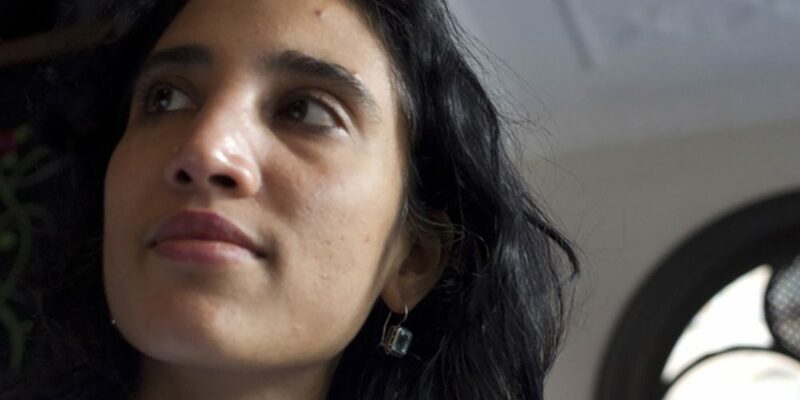 Luiselli, who writes in Spanish and English, is attracted to “the constellation of possible meanings” of the word, and she inventories the many “alternative routes” towards an understanding of it. American poet Elizabeth Bishop, for whom saudade was “the characteristic Brazilian longing or nostalgia”, associated it with the homesickness that inflects much of her own poetry. Italian novelist Antonio Tabucchi, whose works famously capture the spirit of saudade, described it as a “continual malaise”, “the condition of a subject who finds himself in a state of lack.” And according to Australian musician Nick Cave, the word (which he likens to Spanish poet Federico García Lorca’s duende) embodies “an inexplicable longing, an unnamed and enigmatic yearning of the soul… [which] is the breeding ground for the sad song, for the love song. Saudade is the desire to be transported from darkness into light, to be touched by the hand of that which is not of this world.” Thus, it suggests a longing for something forever just out of reach: a home in the world, a whole sense of self, love and a lit road leading out of the dark. 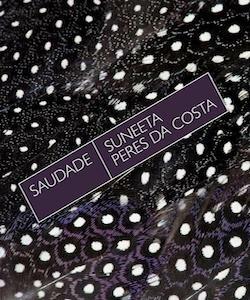 The search, in non-lusophone literatures, for the word’s elusive meaning finds an echo in the search for a lost place, which illuminates Suneeta Peres da Costa’s lyrical new novella Saudade. Written in English and set in Angola in the lead up to the War of Independence, the book is narrated by a young woman of Goan descent who comes of age alongside the African nation. The condition of saudade is first embodied in the character of Miguel, the narrator’s boyfriend and the son of peasants who moved to Angola from the Azores in the hope of a better life. A foreman at a shipwright’s factory, Miguel is a devotee of Fernando Pessoa (“the personification of saudade”, according to Luiselli). He reads Joseph Conrad’s Heart of Darkness (1899) in order to improve his English and describes “the poet Arthur Rimbaud [as] a mercenary who had come to Africa and got into the illegal arms trade”. In the character of Miguel — as in so many aspects of this novella — colonial networks are described via the connections they forge between people and places as much as they are by the people and places they render, irreparably, asunder. Via the figures of Pessoa, Conrad, and Rimbaud, an alliance is drawn between militarism, European trade (with its interests in South Africa, the Congo and Ethiopia) and the literature of Empire. Via Miguel and his family, the dislocations set in motion by trade and Empire are revealed to be irreversible. Having abandoned their home in the Azores, and in the face of impending Angolan independence, this family is made permanently homeless. They cannot stay in Angola, but they do not know “how to return to a life they [have] forgotten, to farms that had been abandoned or long since lain fallow”. Thus, as the narrator comes to understand him, Miguel is “full of sadness, a saudade — a lostness, a feeling of not having a place in the world”. Historical accounts of saudade often associate it with the Portuguese Discoveries, the expansion of empire and the subsequent trade in slaves between Africa, South America, and Asia. In one of her alternative routes towards an understanding of the term, Luiselli notes that “[i]t’s possible… it was the name of a Portuguese ship, the São Daede, which, in 1497, preceded Vasco da Gama in the exploration of the Indian Ocean”. In Portugal the condition is associated with the feelings of loss and nostalgia experienced by fifteenth century sailors — many of whom never returned — and the families they left behind. Pessoa’s saudade is frequently expressed in The Book of Disquiet (1991) via recourse to ocean voyages and shipwreck. “I am,” writes his alter-ego, Bernardo Soares, “the shipwreck of my own wanderings”. And later, of Lisbon: “I love you as ships passing one another must love, feeling an unaccountable nostalgia in their passing.” So it seems that the loss of a beloved place, or at least the inability to be at home in a place except mournfully, and in passing, is intrinsic to the Portuguese experience of saudade. What Peres da Costa captures in her novella are the many ways in which this loss plays out along the lingering alternative (trade) routes of the Portuguese Empire. In his “lostness”, Miguel is an “orphan of Empire”. So too is Caetano, the servant who, as a small boy, came from Mozambique to live with the narrator and her family and who will eventually die fighting in the Civil War, although he has taken an alternative route to reach Angola. Likewise, the narrator herself is sent by her mother to Goa, where she adopts a new name, Saudade, after Angola is granted independence. This occurs following the suicide of her father, a labour lawyer with the Ministry of the Interior: the description of the bullet “wound on his forehead, red and large as a carnation in full bloom”, is surely a reference to the 1974 Carnation Revolution in Lisbon which eventually led to the withdrawal of Portugal from Angola and its other African colonies. Thus, as a result of the combined forces of colonisation, struggles for liberation, and independence, each of these characters somehow loses a sense of their place in the world. 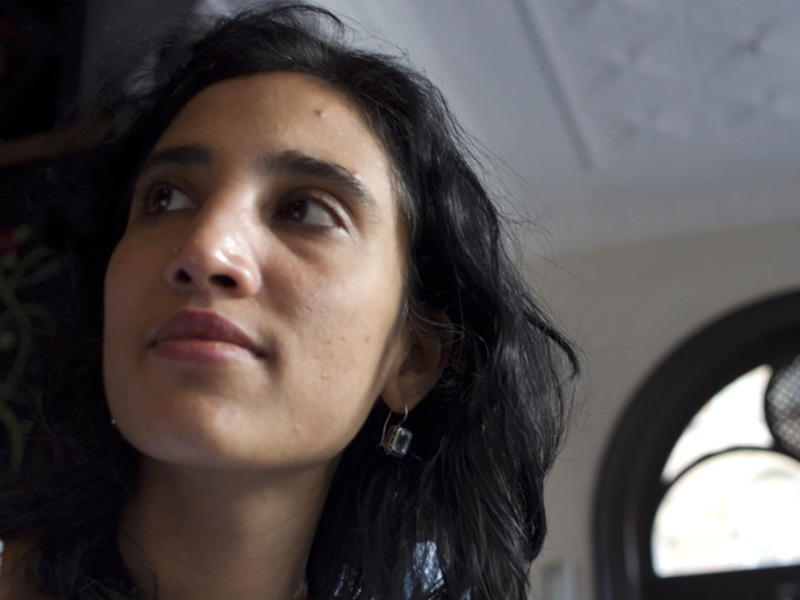 Peres da Costa draws direct comparisons between her characters: Miguel, born in Portugal; Caetano, born to a Mozambiquan mother and abandoned by his Dutch father; and the narrator, born in Angola, whose parents (like Miguel’s) migrated from Goa to grow rich in the Portuguese colony. But she is careful not to reduce their different degrees of displacement. Caetano, observes the narrator, “was doubly orphaned, with family on the other side of the continent, in Mozambique, which had already become independent”. Miguel’s “lostness” is, in part, a symptom of his failure to recognise the importance of colonial networks, and the particular geography they describe. An admirer of the anti-colonial leader Amícal Cabral, Miguel “had aspirations to study agronomy. He boasted that he wanted to change lives by taking new farming practices to the poor in Africa, in India. The way he talked of these places, it seemed they were distant — rather than an extension of the very earth on which we stood”. The narrator, in comparison, recognises the extension of Angola towards Mozambique, Portugal, Goa, and beyond. When she and her family move from Benguela to the capital, Luanda, she discovers that the city’s streets — the names of which she recites “as Galileo might have recited the relation of the earth to the sun” — are “set out on the same grid as Lisbon, being a mirror of the colonial imaginary”. As she describes it, Luanda is a hive of Empire. The market is crowded with traders from Saudi Arabia, the Antilles, and Guinea. Her teachers and friends hail from South Africa, Madeira, the Azores, and mainland Portugal. Her ear is attuned to the sounds of Portuguese, Creole, Konkani, and Kimbundu. And as she grows she comes to understand: that “Konkani was a tongue that… belonged to a people from whom I was… descended”; that in Creole a man could give “voice to a private thought, derisive or mocking, one that he in any case did not care to share with me”; and that, for Ifigênia (the household maid), Kimbundu “might be the language, as I might be the source, of some of [her] plaints and grievances”. Well into her childhood, the narrator herself resists “any language that had been taught me”, preferring one “of my own improvisation”. The streets of Luanda might have been written over by the Lisbon grid. Portuguese and South African soldiers might police those neighbourhoods as agitation for Angolan independence increases. But language remains a potential site of resistance. Yet language is slippery, as we’ve seen when it comes to translating the meaning and experience of saudade. Part of the lostness associated with Empire is the extent to which colonisation empties the known world of meaning and renders everyone — coloniser and colonised — homeless, albeit to unequal degrees and with horrifyingly unequal effects. Saudade opens with an epigraph from Simone Weil’s Gravity and Grace (1952), which is concerned with desire, the imagination and movement towards the future. Elsewhere in the same fragment, entitled ‘Live’, Weil notes that “[c]ontact with the sword causes the same defilement whether it be through the handle or the point”. Although Peres da Costa never trivialises the suffering particular to slaves and indentured labourers, or to the Angolan population colonised by the Portuguese, there is a clear sense throughout her novella that everyone dislocated as a result of Empire suffers a variety of saudade. For the narrator, home (in word and imagination) has become an historical curiosity, an antiquated Terra Australis Incognita. As a child, she “wondered what home may mean and what different routes one might take to get there”. As a young woman, having arrived in Bombay, she finds herself in a “terra incognita which I hesitated to call home”. Away from Angola, “returned” to Goa even though she has never before been there, the narrator believes that “my destiny was unwritten, a tabula rasa all over again”, as it had been when she was a child, when her “mind and body were like a tabula rasa on which much would be written, even if later I might want it all to be erased”. But is such erasure, a return to the tabula rasa, really possible? That the narrator adopts the name Saudade upon her arrival to India suggests not. A Portuguese word notoriously resistant to translation, one deeply associated with the expansion of the Portuguese Empire and which she has defined as “a feeling of not having a place in the world”, Saudade carries her homelessness with her to her father’s people. Less a tabula rasa, then, than a palimpsest, perhaps. Peres da Costa, who was born in Australia to parents of Goan descent, is alive to the palimpsestic writing over of colonial sites and their histories. In her novella, the teenage narrator composes “an alternative biography of Vasco da Gama”, in which she overscores “the navigational feats of da Gama’s life culminating in the discovery of the trade route to India”, and “all the spoils that had resulted from da Gama’s first and second voyages — cinnamon, cloves, peppercorns, gold, and, of course, slaves”, with “all the acts of terror and brutality which da Gama meted out to the Muslim pilgrims and traders whom he met with in the Arabian Sea and upon arrival on the coast of the Hindus of Calicut”. Like this alternative biography, Saudade can be read as an alternative route towards understanding the untranslatable sadness of a lost empire.